As the mobile phone will getting richer with many new features, it will definitely need more juice that past. Comparing with other improvements, smartphones battery department is lagging some steps behind. Now a days it is more important for a user to save his phone’s battery life when he is out of home. So in this article i will show you only a few tips how to improve your Android phone battery life. At first i am telling you something about today’s smartphone nature. 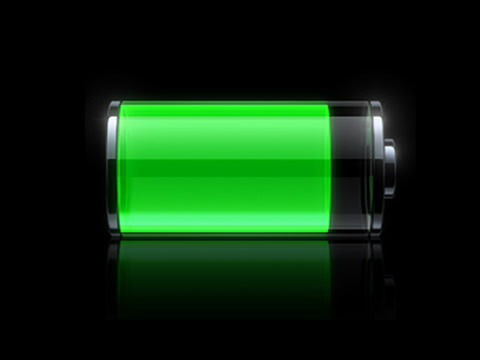 Battery performance depends on many factors, including network configuration, signal strength, the temperature of the environment in which you operate your phone, the features and/or settings you select and use, items attached to connecting ports, and your usage patterns for voice, data and other programs. 4G smartphone have more radios to power like 3G, 4G, Bluetooth, NFC, Wi-Fi and GPS. Latest smartphones have a larger screen than most typical feature phones. Latest high-end phones have more capabilities of 3D graphics and processing power than most typical feature phones. Management of multiple email accounts and syncing. Access to several third-party applications through the Android Market. Many applications and Processes running in the background. The multiple radios on your phone use battery life even when you are not using them. To improve battery life, turn off your Bluetooth, GPS, Wi-Fi and Mobile Hotspot if you are not using them. For easier control, you can add a widget to the Home screen for each radio function so you have simple one-touch access to enable or disable each of them. If you have your 4G radio ON, but are no longer in 4G coverage, then your device will be scanning in an attempt to re-acquire the 4G network. Your battery can be significantly drained by scanning, so if you know you will be out of 4G coverage for an extended period of time or if you are not acquiring a 4G signal as indicated in the task bar, it is important to turn your 4G radio OFF. But there's something else you can do when you are under 4G signal. The 4G radio should only be turned on when the improved network speed is required for an application, such as YouTube, Web Browsing or Mobile Hotspot. When not in use, it's important to use the built-in 4G widget to turn the 4G radio OFF. Even when in 4G markets, particularly when mobile, you may be going in and out of 4G coverage. If you notice that you do not have a 4G signal at any point in time, turning off the 4G radio will save you significant battery life. Simply turn it back on to check for 4G coverage when you are back in 4G coverage. To manage the screen brightness, go to Settings > Display > Brightness and modify the backlight setting as desired; the less bright the screen, the more battery life you save. When done using the phone, turn the screen off to help preserve battery life. Just quickly tap the Power button on the top edge of the device to power off the screen; the phone will remain powered on but the screen will go dark. Before you charge your phone, you can view what has been using your battery during this charge cycle. So do not charge your phone when it has enough charge for a while. You can modify your email settings to download email more or less frequently, as it fits your needs. Usually Higher email download frequency takes up more battery life. There are preloaded applications which update based on frequency settings, such as Weather and Peep. These applications have a settings menu that typically can be accessed by using the Menu button while you are in the application. In the settings menu there is an item called Update Schedule. In general, the less frequently you allow these applications to update, the better your battery life. If you find there are applications you don't use at all, for the best battery life experience, configure the application to either not sync at all or to sync at the lowest frequency. You can also end the application or service by using the Task Manager application (All Applications > Task Manager). When you sign up for the Google Market or Gmail with your Gmail account information, you are also signed in to the Google Talk instant messaging application. The Talk application tracks the presence of your Google Talk contacts in order to let you know who is available to instant message. Each presence change uses power, even if you do not have the Talk application open. In order to again receive Instant Messages through the Talk application, all you'll need to do is open the Talk application again and it will automatically sign you in. Note: Make sure you always exit the application by selecting Sign Out to reduce battery consumption. Exiting the application by use of the back or home keys will not sign you out and battery life will not be improved. When finished with your GPS Navigator, return to the main screen of GPS Navigator then tap Menu > Exit > Yes to close the program. If you don't do this, it will continue running in the background and use a significant amount of battery life. Know how to close the application so that it does not continue running; you can often do this by pressing the Menu key while in the application. Learn how to use the Task Manager application or other third-party task managers to identify applications that are still running even when not in use and to end applications that are still running but no longer needed. If the applications synchronize data, make sure you optimize the synchronization settings for improved battery life.